CAMBRIDGE, MA (March 22, 2018)—Harvard University Graduate School of Design (Harvard GSD) announces the appointment of Mark Lee as Chair of the Department of Architecture, effective July 1, 2018. Lee has taught at Harvard GSD since 2013 and was recently named Professor in Practice of Architecture, an appointment that also will take effect July 1, 2018. 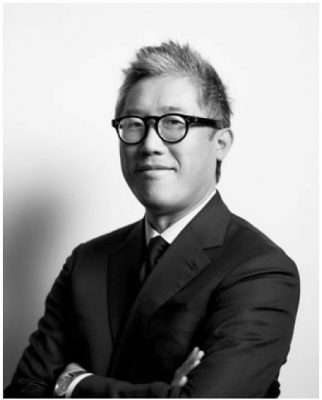 Lee is a principal and founding partner of Johnston Marklee, established in 1998. Lee is a principal and founding partner of Johnston Marklee, which since its establishment in 1998 has been recognized nationally and internationally with over 30 major awards. Projects undertaken by Johnston Marklee span seven countries throughout North and South America, Europe, and Asia. Current projects include the renovation of the Museum of Contemporary Art Chicago, which opened in September 2017; the new UCLA Graduate Art Studios campus in Culver City, California; and the Menil Drawing Institute in Houston, to be completed in 2018. Along with partner Sharon Johnston, Lee served as Co-Artistic Director of the 2017 Chicago Architecture Biennial, and participated in the GSD’s symposium at the Biennial last September. The Harvard Graduate School of Design (GSD) is pleased to announce that the 13th Veronica Rudge Green Prize in Urban Design has been awarded to the High Line in New York, designed collaboratively by James Corner Field Operations, Diller Scofidio + Renfro, and Piet Oudolf. Harvard Graduate School of Design (GSD) is pleased to announce the six winners of the 2018 Richard Rogers Fellowship, a residency program at the Wimbledon House, the landmarked residence designed by Lord Richard Rogers for his parents in the late 1960s. Cambridge, MA (December 1, 2017) –– The Harvard University Graduate School of Design (GSD) announced today that it has received a $15 million gift from Ronald M. Druker (Loeb Fellow ’76) and the Bertram A. and Ronald M. Druker Charitable Foundation. The gift provides the necessary seed funding for the GSD to launch an ambitious renewal and new building expansion of its main facility, Gund Hall, to support focused work in design innovation. In recognition of the gift—the largest made to date to the GSD’s current Grounded Visionaries campaign as well as the largest single gift from an individual in the school’s history—the GSD will name its primary exhibition gallery the Druker Design Gallery. 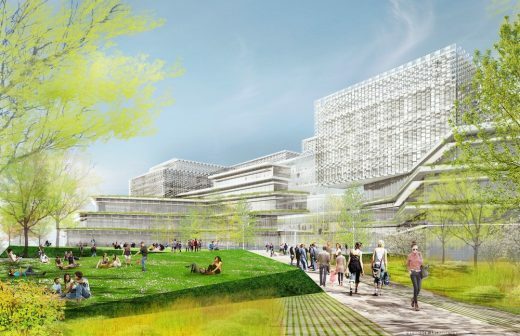 Druker’s gift provides the foundation for the school’s effort to reimagine the role and ambitions of design education in the twenty-first century and in the context of a leading research university, beginning with the school’s physical plant. The success of the Grounded Visionaries campaign—the GSD’s portion of the university-wide Harvard Campaign—has put the school in a position to think openly and fundamentally about future practices of design pedagogy, their integration into research in the sciences and the arts, and their capacity to have an impact on practitioners working at all scales of the built environment. Toward that end, for the past several years, Druker has worked closely alongside Mohsen Mostafavi, Dean and Alexander and Victoria Wiley Professor of Design at the GSD, to help define and develop a strategy for the future spatial and facility needs of the school, taking into account the school’s increasing focus on design innovation. Druker’s gift will carry forward planning for a new building expansion of Gund Hall. The Druker Design Gallery features the work of faculty, students, and researchers and scholars from across the design fields. Located at Gund Hall, the gallery serves as a site for experimentation and explication of ideas and plays a fundamental role in the pedagogical life of the school. The gallery is open to the public, and has a long and rich history of exhibitions that engage the historical and contemporary conditions of design discourse across physical, digital, and spatial media. Together with the Harvard Art Museums and the Carpenter Center for the Visual Arts, the Druker Design Gallery stands as part of Harvard University’s arts corridor along Quincy Street in Cambridge. Highlights from the gallery’s past exhibitions include: “Utopia Across Scales,” featuring a selection of drawings by Kenzo Tange (2009); “The Divine Comedy,” a three-part exhibition featuring works by Olafur Eliasson, Tomas Saraceno, and Ai Weiwei (2011); “Motion Matters: UNStudio” (2011); “Transformative Mobilities: Porto & Medellín,” featuring two projects awarded the 2013 Veronica Rudge Green Prize in Urban Design (2013); “Architectural Ethnography,” featuring the work of Atelier Bow-Wow (2017); “Soft Thresholds: the Works of RMA” (2016); and “Landscape: Fabric of Details: the Works of Toru Mitani and Studio On Site” (2017), among many others. Though best known across the Boston area for transformational developments like The Heritage on the Garden and Atelier|505, Druker has an unyielding passion for architecture and design that is best manifested in his more than 42-year relationship with the GSD. His relationship with the school began in 1975, when Druker became one of the early inductees into the school’s prestigious Loeb Fellowship program, a time during which he first articulated many of the principles that define not only his projects, but also his perspective on urban planning and design across the region. Continuing from 1975 to 1983, Druker taught as a member of the school’s faculty in urban design. Cherishing his growing connection to the GSD, Druker established an endowment creating the Druker Traveling Fellowship in 1986. The program reflects Druker’s firm belief that travel and exposure to different points of view are critical components to the development of one’s professional practice. Since then, the fellowship has supported a corps of rising designers who, following the example set by Druker and his father (Bertram Druker), are dedicated to advancing the study and practice of urban design in the United States and around the world. Druker has formed and maintained lasting friendships with many past fellows. More recently, Druker has served on the school’s Visiting Committee, on the Dean’s Advisory Council, and as Chair of the school’s Strategic Planning Committee. Druker’s gift to the GSD represents not only his deep involvement in and connection to the school over a period of more than four decades, but also his continued commitment to supporting education in the arts and cultural production across several of the Boston area’s leading institutions, including the Museum of Fine Arts and the Boston Public Library. Founded in 1936, the Harvard University Graduate School of Design (GSD) has roots dating back to 1874, when academic degree programs in architecture and landscape architecture emerged at the university. Harvard often is credited with founding the disciplines of landscape architecture and city planning prior to the establishment of the school and founding the discipline of urban design in the 1960s. As the premier design school in the world, the GSD has a legacy of leadership, innovation, and social responsibility. The school sets global standards for design education, regularly ranking number one in two of its core disciplines. GSD alumni and faculty are world renowned for creating the modern era’s most iconic buildings, landscapes, and city plans, and the school is proud to have the highest number of Pritzker Prize winners and AIA Fellows of any design school. Today, the GSD continues to explore with authority urgent issues facing cities around the world, synthesizing research and practice in a collaborative, holistic approach that empowers the design community to have a significant impact on the built environment. The 2018 Wheelwright Prize is now accepting applications; the deadline for submissions is Sunday, January 14, 2018. This annual prize is dedicated to fostering new forms of architectural research informed by cross-cultural engagement.